The importance of ongoing surveillance, diagnostics and appropriate management systems is widely acknowledged, as are the merits of collaborative efforts by scientists for generating new knowledge. Pests and diseases know no boundaries and therefore continue to pose threats to agricultural productivity and competitiveness worldwide. The importance of ongoing surveillance, diagnostics and appropriate management systems is widely acknowledged, as are the merits of collaborative efforts by scientists for generating new knowledge. 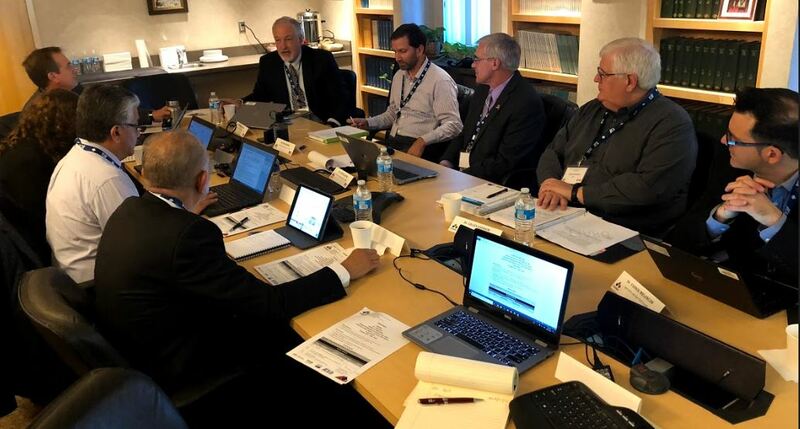 This is evident in the northern region, where agricultural researchers in Canada, Mexico and the United States, cooperate on areas of trilateral interest towards assuring crop protection and productivity. Leaders of the national agricultural research organizations in the three countries comprise the Board of Directors of the network known as PROCINORTE (Spanish acronym for the Cooperative Program in Research and Technology for the Northern Region), which convened in New Mexico recently to share progress on their advances on issues affecting plant health, animal health, genetic resources and tree fruits. Information on improved methodologies, new diagnostic tools, open data as well as on-going research, demonstrated the value-added of this strategic collaboration. A highlight was a trilateral initiative designed to reduce waste, improve quality and increase profits in selected tree fruit crops. 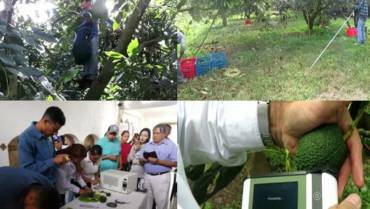 After several years of joint laboratory studies (involving instrument manufacturer), field trials and modeling, a hand-held device for testing fruit maturity is ready for use by avocado farmers and traders in producing countries. The imminent transfer of this technology is set to favorably impact trade of avocados, mangoes and other such fruit throughout the hemisphere. Taking place at the renowned Jornada Experimental Range of the Rangeland Management Research Facility (operated by the United States Department of Agriculture – Agricultural Research Station), the meeting allowed members of the Board of Directors of PROCINORTE to also gain insights in grassland research which is particularly relevant in the face of climate change. The promising features of the Criollo cattle, originally from Mexico and also found in several Latin American and Caribbean countries, were showcased, underscoring additional avenues for collaboration outside the Northern region. PROCINORTE is supported by the Inter-American Institute for Cooperation on Agriculture (IICA), and senior scientists in the United States Department of Agriculture-Agricultural Research Station (USDA-ARS) , Agriculture and Agri-Food Canada – Science & Technology Branch, and Instituto Nacional de Investigaciones Forestales, Agricolas y Pecuarias (INIFAP) in Mexico.